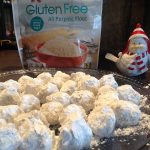 Gluten Free Cranberry Pecan Cookies with Krusteaz Gluten Free All Purpose Flour – Get Cooking! Gluten Free White Chocolate Chip and Pecans CookiesBefore getting to the two gluten free cookie recipes, I just want to express my yuuuge gratitude to food companies who keep churning out exceptional gluten free products. Krusteaz, Udi’s, Glutino, Pamela’s CedarLane, Pillsbury, Betty Crocker, Amy’s… the list goes on and deliciously on. I am so very thankful for them – and I plan to keep letting them know – all over social media, through e-mail, here on the food blog… anywhere and everywhere I have an opportunity to sincerely thank them, I’m going to take it. I’d love to see everyone in the gluten free (for health reasons, especially) community do so. We don’t hesitate to point out when a company or restaurant drops the ball – we should be even faster with gratitude. 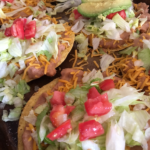 Okay… off the soap box! One of the companies I am most thankful for is Krusteaz. Their products are first rate – as in perfect every single time – and they are SO affordable. 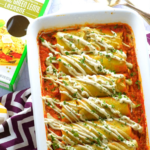 Let’s face it, not all gluten free products can be called “reasonably priced” let alone “So affordable,” but Krusteaz (and Pillsbury, for that matter) are as fair as it gets. 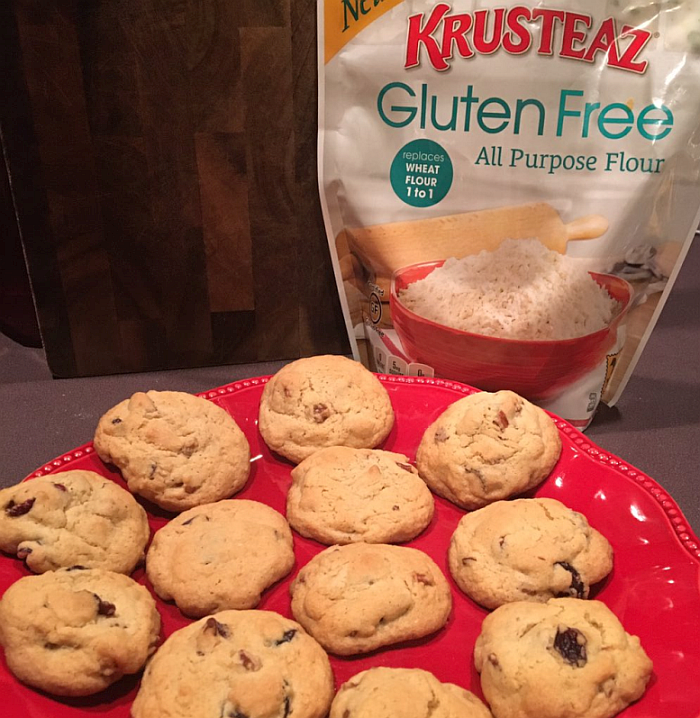 I just made a couple of batches of cookies using Krusteaz Gluten Free All Purpose Flour. 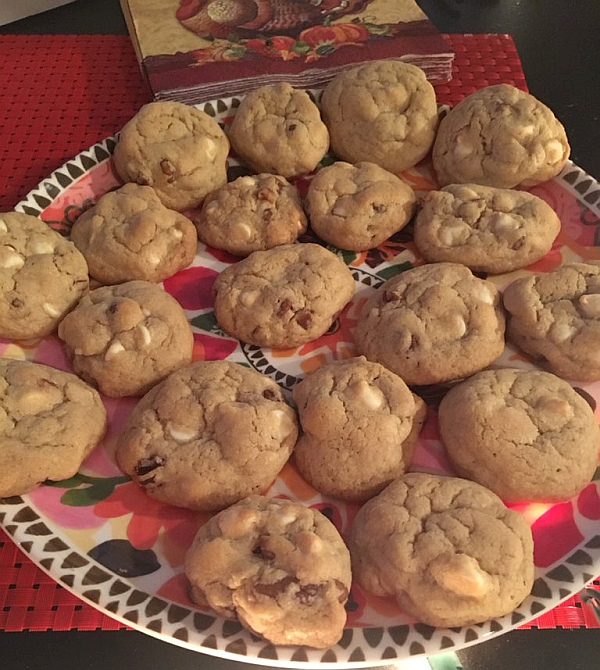 I tweaked their wonderful Choclate Chunk Cookies recipe (below). In place of the 1-1/2 chocolate chips or chunks, I made the following cookies with the following SIMPLE alterations. The first (with dried cranberries) was made for my youngest daughter who cannot eat chocolate (poor baby!). She loves cranberries like crazy, so I thought this would be ideal. 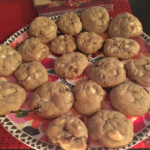 Cranberry Pecan Gluten Free Cookies – (pictured below) instead of the 1-1/2 chocolate chips or chunks, I added 3/4 dried cranberries and 3/4 coarsely-chopped pecans. Below is Krusteaz’s Chocolate Chunk Cookies recipe (it’s perfection, by the way). It’s the easiest chocolate chip cookie recipe you’ll ever find – you don’t even need a mixer. Tweak as I did (above) or go with the orgiinal (below). Either way, you’re going to be blown away. Stir together flour with remaining dry ingredients. 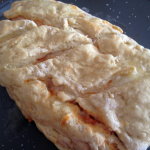 Add eggs, butter and vanilla and blend until dough forms, kneading by hand if necessary. 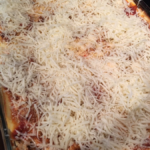 Scoop rounded 2 tablespoon portions of dough and place 2 inches apart on ungreased cookie sheet. Flatten slightly. Previous Post: « Handbag Cookie Jars???? Handbag Cookie Jars!! !